OxyShark®’s versatility and extensive capabilities allow it to be applicable to a wide variety of companies across many different industries. 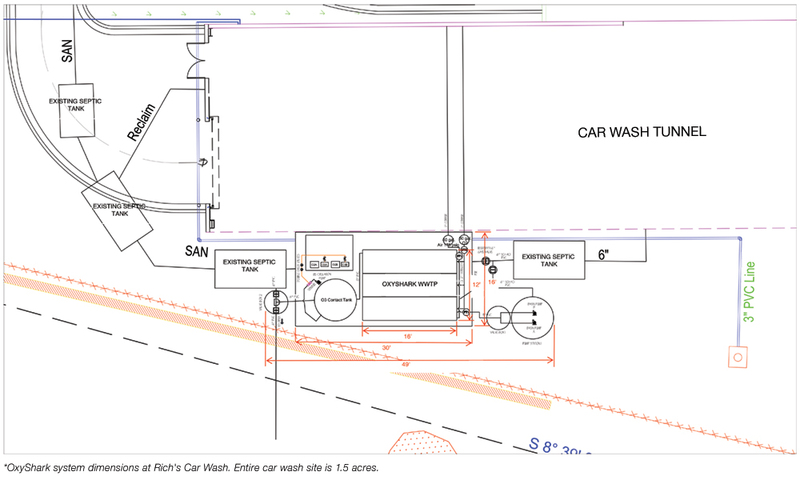 This wide net encompasses car washes that can produce thousands of gallons of wastewater every day. Rich’s Car Wash is one of the top 50 car wash service companies in the United States. Rich’s provides state-of-the-art car wash services with some of the most innovative products in the country, such as a stand-alone polish tunnel. Of course, along with all of this innovation comes the key economic and environmental concern of water usage. 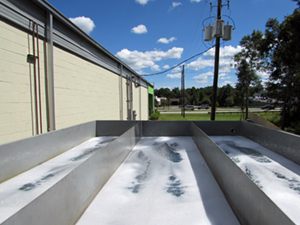 The issue for many car washes in the United States and elsewhere is how to handle the large volumes of water needed to provide vehicle-cleaning services for the consumer. The amount of water used to deliver these services is costly and can be a burden on water resources and infrastructure in parts of the country with limited water supply. Rich’s main concern was the progressively higher cost of water usage and wastewater disposal via the municipal system. What Rich’s needed was a way to treat the car wash wastewater and reuse and/or discharge it off the sewer grid (i.e., stream discharge). This solution would allow the company to be more profitable while greatly reducing or eliminating the need to use the municipal sewer system, which is overloaded and in poor condition in many areas. Through its work with Rich’s Car Wash, OxyShark alleviated many of the problems the facility faced and even provided additional benefits. The OxyShark system at Rich’s is designed to handle the specific needs of the site, which has a maximum hydraulic flow rate of 20,000 gallons per day and a wastewater strength of about 140 mg/l BOD5. After completion, Rich’s had its very own OxyShark system, ready to handle the demands of the car wash operation. Rich’s selected the OxyShark system for its wastewater treatment needs because OxyShark allows for a direct permitted discharge to the car wash’s adjacent stream while also providing thousands of gallons of potential reusable water that potentially goes directly back into the wash each day. These capabilities result in greatly reduced sewer usage fees. What’s more, the water discharged to the stream exceeds the permit requirements. In fact, by some metrics, the discharged water is cleaner than the water in the stream – a real win-win for the business and the environment. Read more about OxyShark’s expanding relationship with Rich’s here.